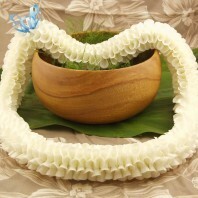 Categories: Blue Leis, Fresh Wedding Leis, Graduation Leis, Hawaiian Flower Leis, Premium Leis, Yellow Leis. 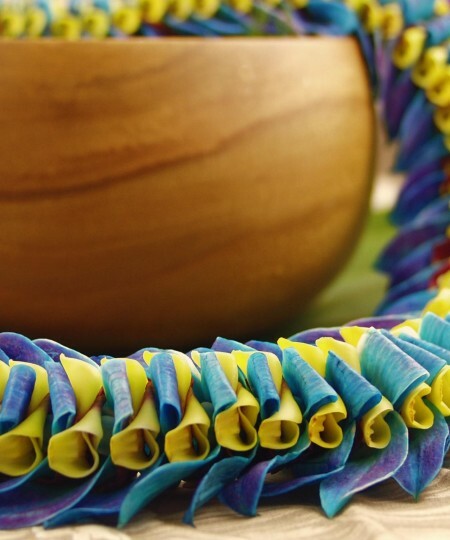 Waipio Hawaiian lei is a carefully woven beauty in a delightful blend of color. We begin with exotic purple and white dendrobium orchids. They are infused with blue and yellow color while still on the stem. 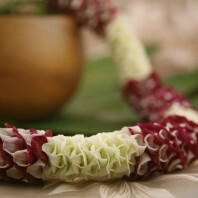 The sewing of the flowers is done ‘mala’ or garden style. 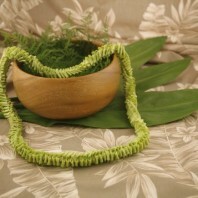 This is a remarkable sewing method so we need time to make this lei. 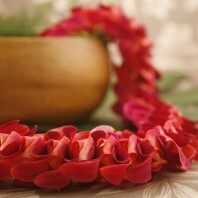 This lei must be ordered one week prior to the shipping date. Late orders are subject to cancellation. 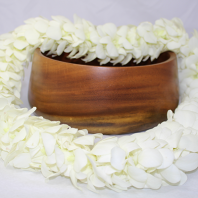 The Waipio Hawaiian lei is a special lei ideal for an honoree. 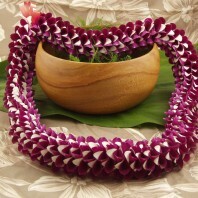 Give this as a graduation lei or at a birthday party. 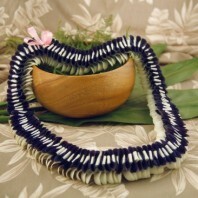 This lei is typically selected for a guest of honor. 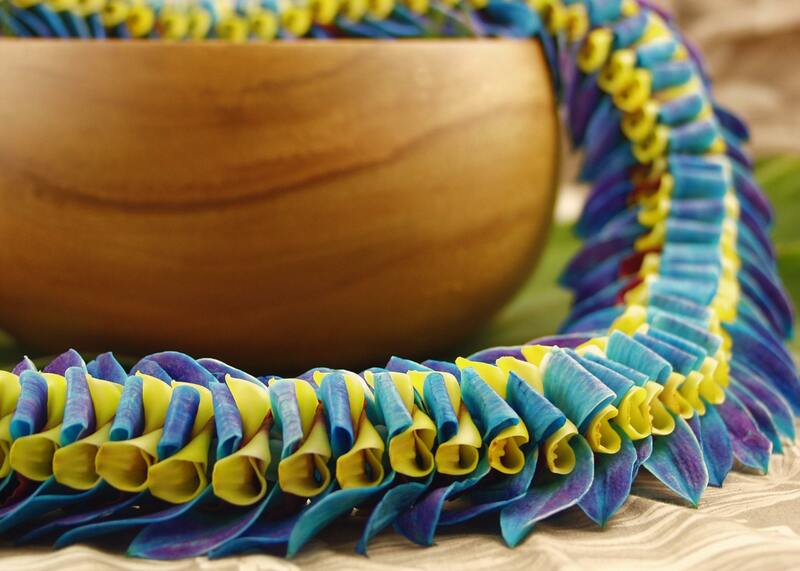 The blue flowers are folded between the yellow to give this lei it’s amazing appearance. It is named for the Waipio Valley on the north end of the Big Island. 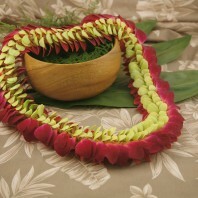 Despite it’s complex appearance taking care of your fresh lei is easy. Please open the box as soon as it arrives. 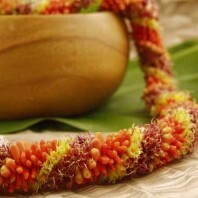 Remove the lei carefully. Mist the flowers lightly with lukewarm, clean water. Don’t worry, the color is infused and will not run. 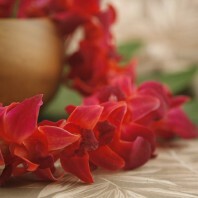 Place the lei in a closed bag and refrigerate until time to present and wear. 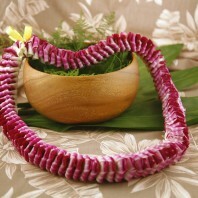 Make sure the lei is not wet when wearing. 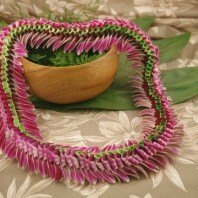 This lei is 36 to 38 inches around and about 3 inches wide.